Beginning from Ganesh Chaurthi, the 10 day stay of Ganpati ends on Anant Chaturdashi with Ganpati Visarjan, falling today, 5th September in 2017. Anant Chaturdashi signifies the return of Lord Ganesha to his home, Mount Kailash. Although, stay of Ganpati at devotees homes’ can be for one & half day, three days, five days, seven days, Ganpati visarjan on Anant Chaturdashi is considered to be the most auspicious one. The festival is celebrated in many parts of India, but Mumbai beats them all in celebrations and grandeur. Most of the educations institutions and offices remain closed on this day. 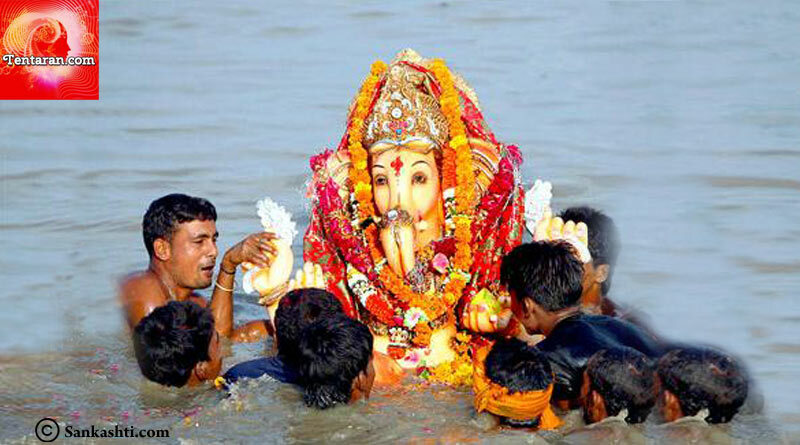 There are various rituals connected with the Ganpati Visarjan. As per the shubh muhurat, Udwasana Mantra is chanted before moving the Ganpati idol from its place. The Ganpati idol is first moved towards the North Eastern direction. Then Uttarang Pooja is conducted, in which Ganpati is worshipped with all the five elements – Deep, Dhoop, Gandh, Pushp and Naivedya. Devotees ask for the pardon from Ganpati for any mistakes they may have committed knowingly or unknowingly. Devotees who plan to bring back Ganesha the next year, invite him to return next year. Women of the house offer curd to Ganpati. Procession for immersion starts right after that. 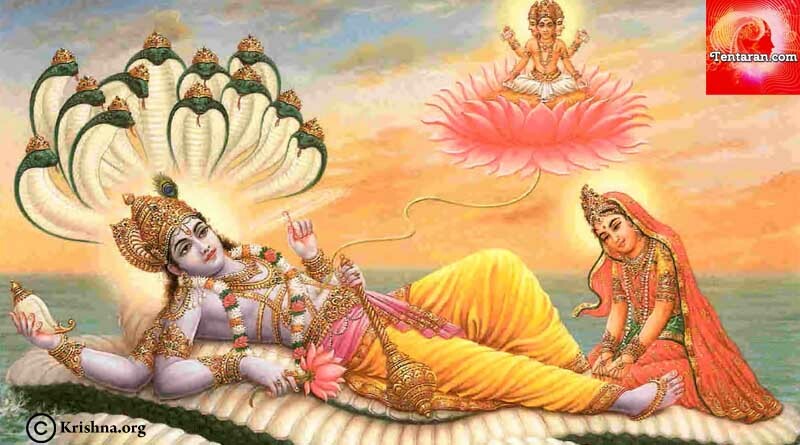 Anant Chaturdashi is also considered sacred for worshipping Lord Vishnu. Devotees keep fast during the day and tie sacred thread, called Ananta Sutra. Knotted at 14 places and coloured with haldi and kumkum, Anant Sutra is believed to protect the devotees from all troubles. After tying Anant Sutra in the afternoon, devotees offer food and donation in forms of clothes, utensils, sweets, fruits and money to the Brahmins. No salt is consumed in any form during the vrat by the devotees.